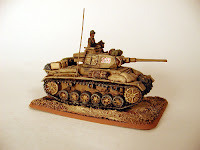 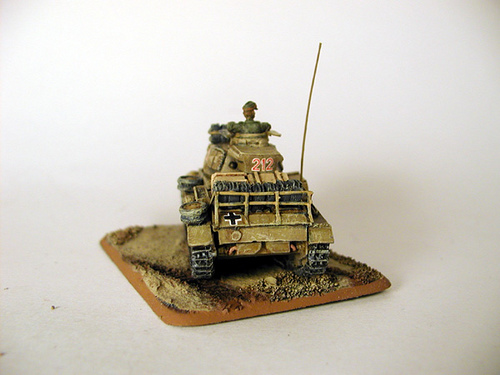 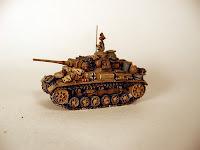 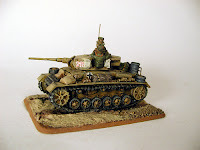 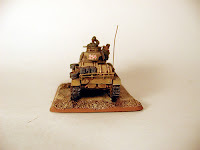 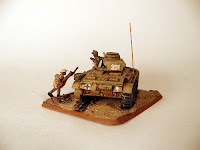 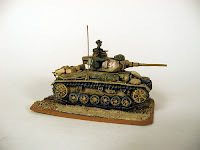 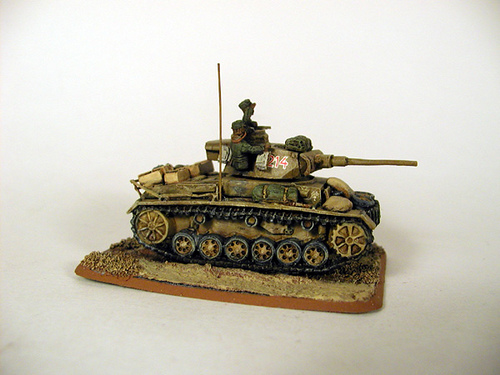 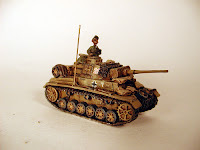 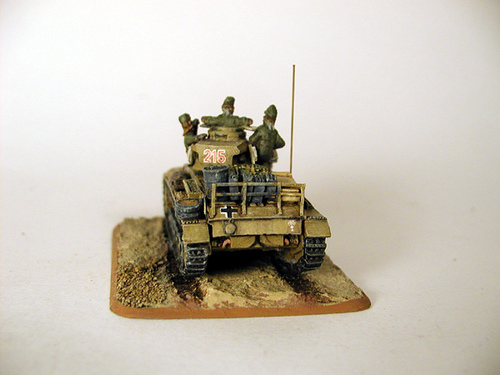 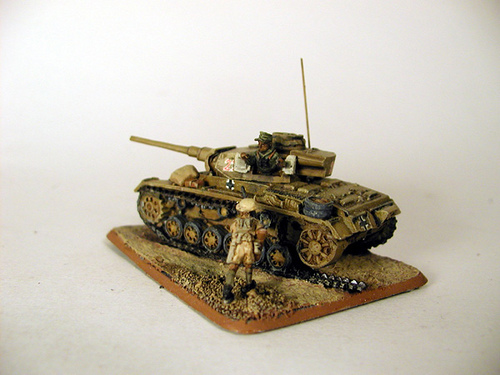 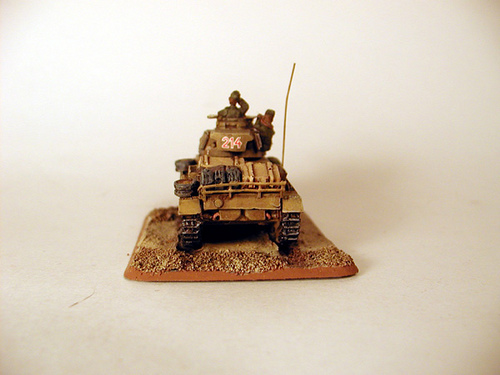 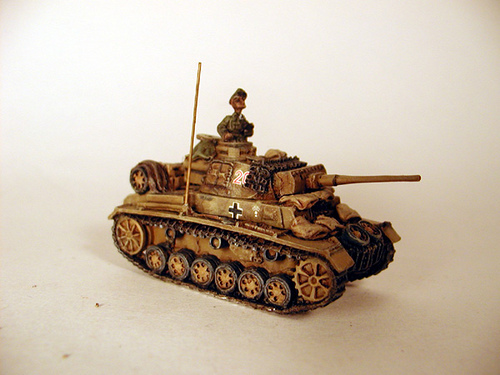 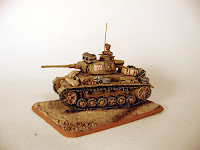 Battlefront Miniatures - PzKfw IIIJs, this is a series of modified Pz IIIs, they feature reworked air filters (which you can't see), open side hatches with crewmen, racks for the rear deck (made from plastic and to delicate for gaming), the extra armor on the front (mostly hidden by sandbags). 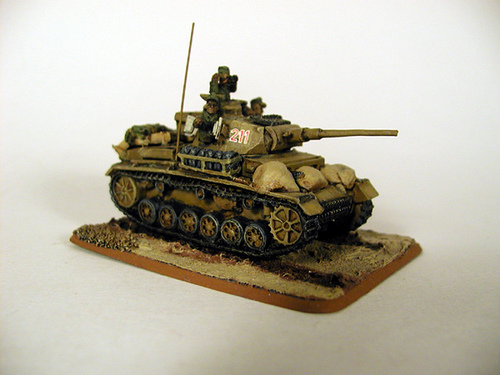 Several of these won bronze medals at Genghis Con or Tacticon and when I finished them a number of years ago I was very happy with them. Now I'm considering stripping them down, replacing the plastic racks with brass racks and repainting them up to my current standards.